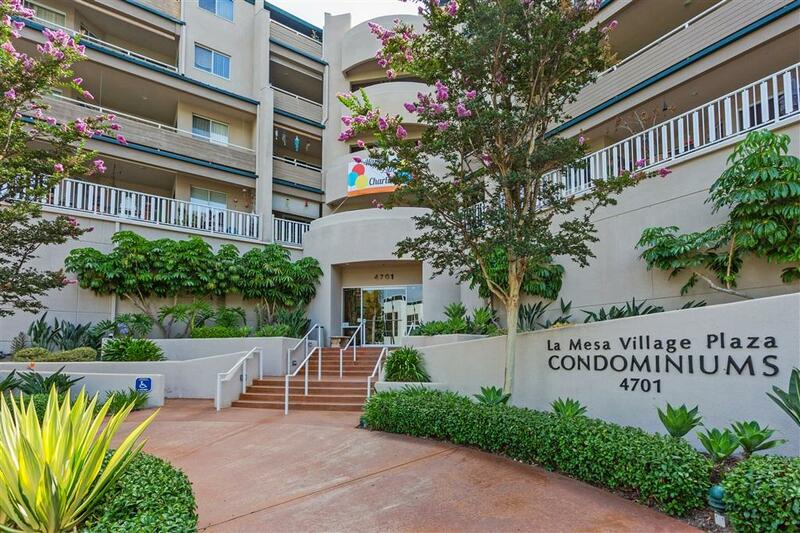 Incredible, fourth floor condo is in the heart of La Mesa is waiting for you to make it your home! This rarely available floor plan has 3 bedrooms and two baths and has a beautiful, unobstructed view. There is a fireplace in the living room, indoor washer and dryer, vaulted ceilings throughout and ceiling fans in the living room and master bedroom, central air conditioning and gated underground parking. Walking distance to restaurants, trolley and the farmerÃ¢â‚¬â„¢s market. Listing provided courtesy of Core Property Group. Listing information © 2019 San Diego MLS, Inc.